Scientists at the University of California (UC), Berkeley have developed a new flexible sensor that can map blood-oxygen levels over large areas of skin, tissue, and organs, potentially giving doctors a new way to monitor healing wounds in real time. Injuries can’t heal without a constant influx of the chemical element. 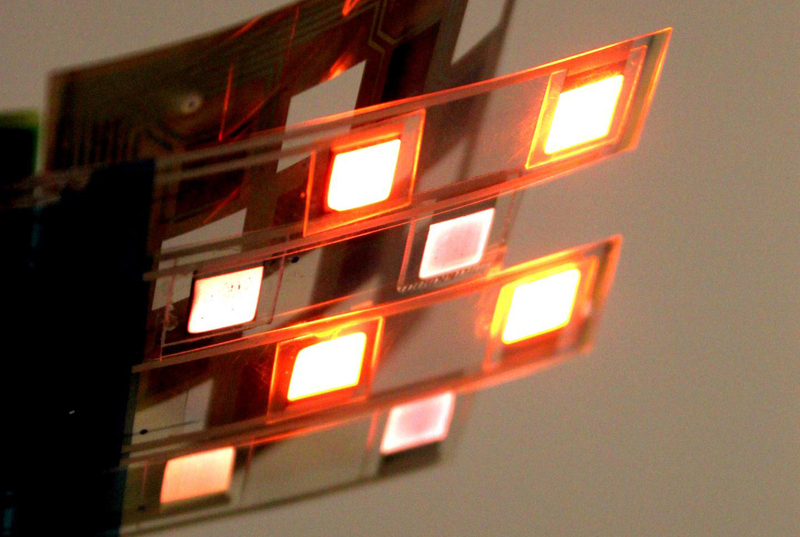 The sensor, described in an article (“A flexible organic reflectance oximeter array”) in Proceedings of the National Academy of Sciences, is made of organic electronics printed on bendable plastic that molds to the contours of the body. Unlike fingertip oximeters, it can detect blood-oxygen levels at nine points in a grid and can be placed anywhere on the skin. It could potentially be used to map oxygenation of skin grafts, or to look through the skin to monitor oxygen levels in transplanted organs, the researchers say. “Transmission-mode pulse oximetry, the optical method for determining oxygen saturation in blood, is limited to only tissues that can be transilluminated, such as the earlobes and the fingers. The existing sensor configuration provides only single-point measurements, lacking 2D oxygenation mapping capability. 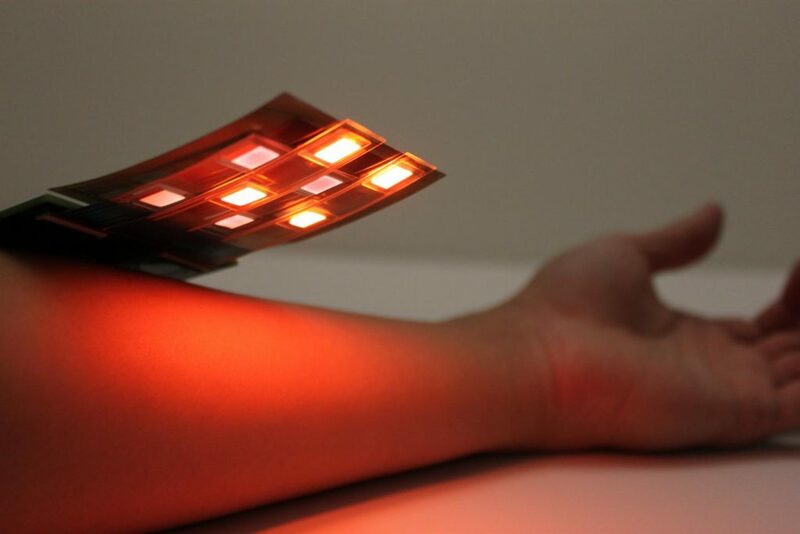 Here, we demonstrate a flexible and printed sensor array composed of organic light-emitting diodes and organic photodiodes, which senses reflected light from tissue to determine the oxygen saturation. We use the reflectance oximeter array beyond the conventional sensing locations. The sensor is implemented to measure oxygen saturation on the forehead with 1.1% mean error and to create 2D oxygenation maps of adult forearms under pressure-cuff–induced ischemia,” write the investigators. “In addition, we present mathematical models to determine oxygenation in the presence and absence of a pulsatile arterial blood signal. The mechanical flexibility, 2D oxygenation mapping capability, and the ability to place the sensor in various locations make the reflectance oximeter array promising for medical sensing applications such as monitoring of real-time chronic medical conditions as well as postsurgery recovery management of tissues, organs, and wounds. In 2014, Dr. Arias and a team of graduate students showed that printed organic LEDs can be used to create thin, flexible oximeters for fingertips or earlobes. Since then, they have pushed their work further, developing a way of measuring oxygenation in tissue using reflected light rather than transmitted light. Combining the two technologies let them create the new wearable sensor that can detect blood-oxygen levels anywhere on the body.